I consent to receiving information from CP Franchising, LLC regarding a Cruise Planners® franchise opportunity via text messaging sent through an automatic telephone dialing system. I understand that consent is not a condition of purchase. You can opt-out at anytime by replying STOP to any text message you receive from us. Additional terms and conditions can be found on our website. 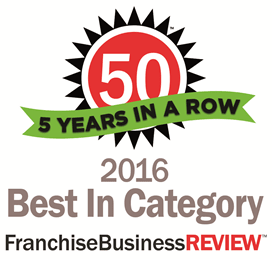 Own the cruise franchise ranked #1 in the industry by Entrepreneur magazine for 15 years in a row and #6 in the world! Cruise Planners, an American Express Travel Representative, has been named the nation’s # 1 home-based travel franchise by Entrepreneur magazine for 15 straight years. Our unmatched training, marketing, technology and individualized support allow you to be your own boss, travel the world and sell travel for a very low franchise investment fee.